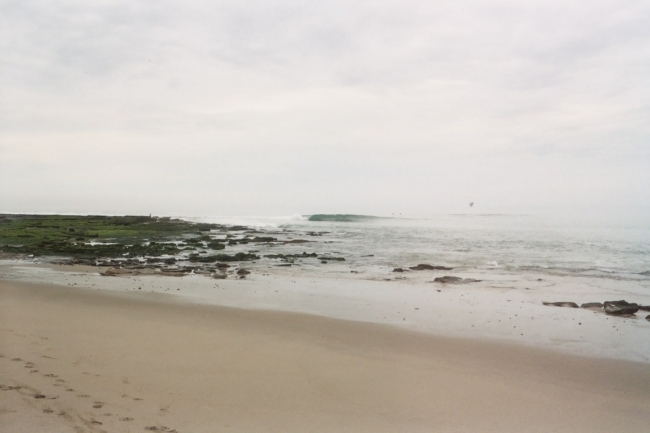 There's some surf out there today. Looks like it's waist high, maybe bigger on the sets. 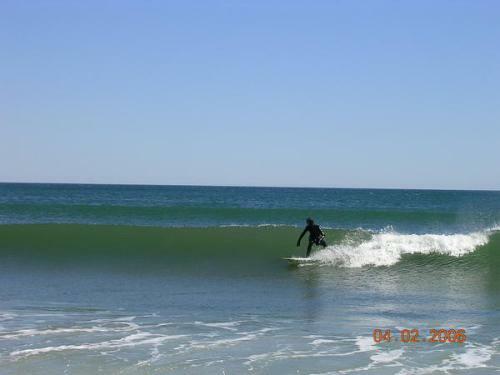 I was thinking about how many times I went surfing on Easter Sunday in my life. Don't know the exact figure for sure, but I believe it's up there. I know I missed a few Easter Sunday dinners in my day. Not to mention a few other significant Holiday meals. Which brings me to today. My son Max is begging for me to let him go surfing. The problem is, his Grammy is up visiting from Virginia and we are having a Big Sitdown dinner that Grammy has prepared. The Surfer in me, is leaning towards letting him go...the parent in me, is leaning towards having him stay put. So, the compromise is really quite simple. After dinner, he (we) can go surfing. Easter is a big deal to a whole lot of people all over the world. Here in New England it's right up there with Christmas. For Christians it's the one day, that the entire Christian faith is based upon. The Resurrection of Jesus Christ. Jesus ascending into heaven. You either believe it, or you don't. I'm not here to preach to you about this day. I'm just acknowledging the day, as something special. Most of you believe in something. God, Jesus, Buddha, Allah...whatever. I think the majority of you, believe that there's something else out there. I personally think, there's something bigger than any of us has ever imagined. And I think, it's based on something good. Or rather, being good now, to be rewarded after. So what and where is Heaven? That's a question, that's been asked a few times I'm sure. A place where it's peaceful, serene and full of love and happiness. Where we meet and see, old departed friends and relatives. 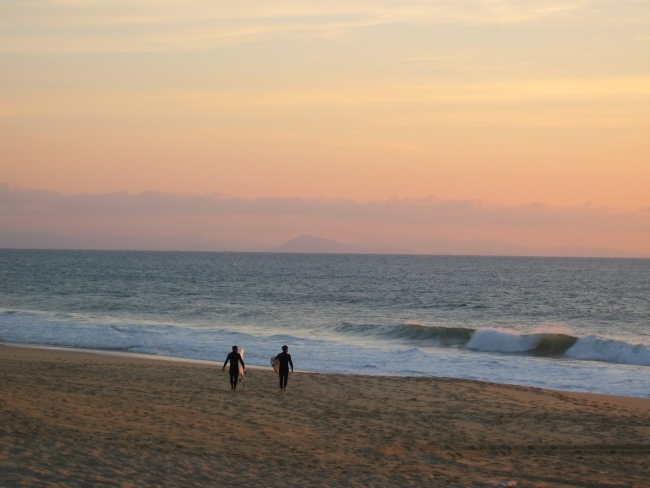 And most importantly (for Surfers), a place where there is always surf. And not just surf, but perfect surf. 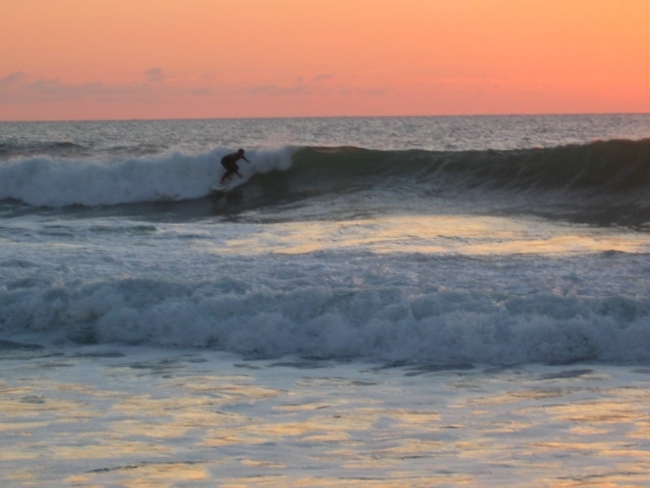 Perhaps a 6-8' solid ground swell with light offshore winds. 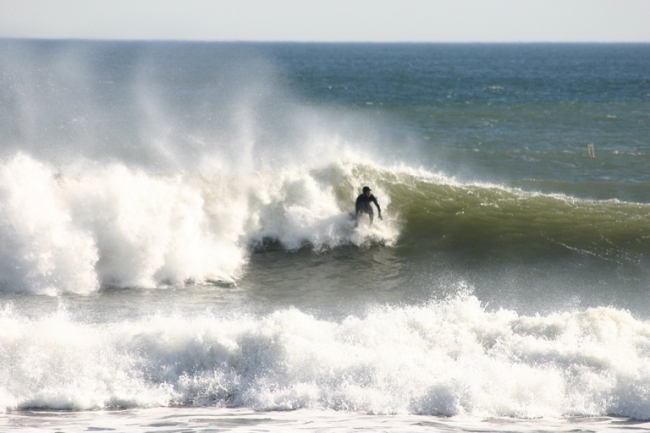 Super Hollow rights and lefts. 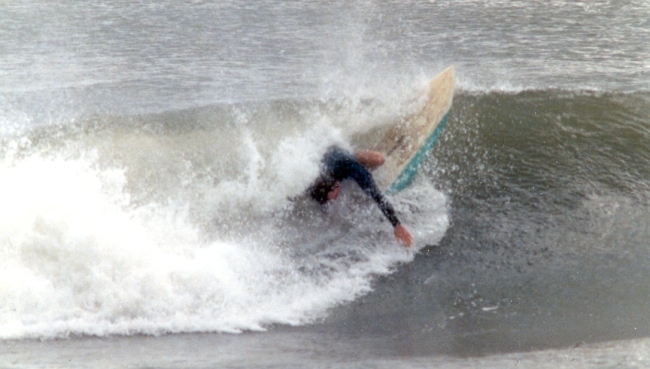 Breaking over a nice, forgiving, sand bottom. The sun is shining, and the water is crystal clear and pleasantly warm. And (here's the killer part for me), it's always like Indian Summer in New England. In other words, the foliage is at it's peak, and the days are perfect New England temperatures. The sun is shining bright and warm...and there's no need for wetsuits. And the crowds? Ha! As many as you want, or as few as you want. Lots of photos this week have come in from all over the globe. Funny how that works. 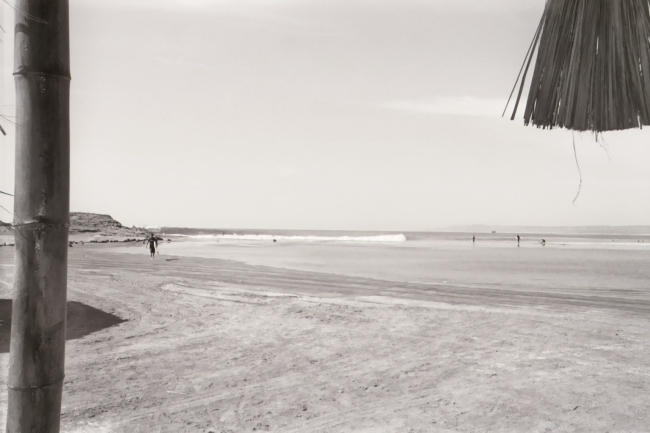 One week it's alll local stuff, the next, it's exotic tropical locales with pristine perfect surf. 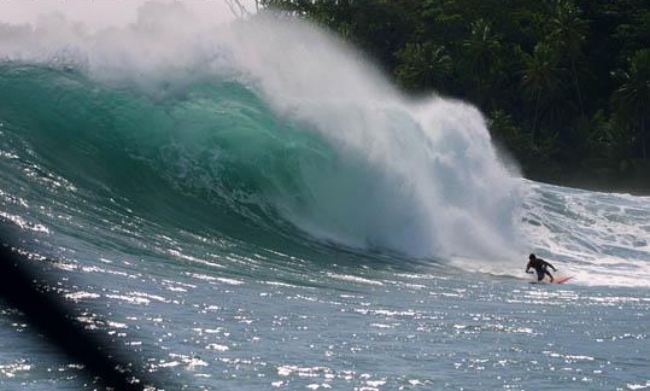 Our boys Dave and Phil should be on their way back from the ultimate tropical surf destination.Fiji. Or to be more specific. Tavarua Island. Home of the infamous Restaurants and Cloud Break. From what I hear, they scored some great surf. And you will be the first to see the goods when I get them. Be nice to surf a nice hollow tropical wave right now...come to think of it, it be nice to surf a nice hollow tropical wave anytime. How many of you New Englanders have been asked this question? 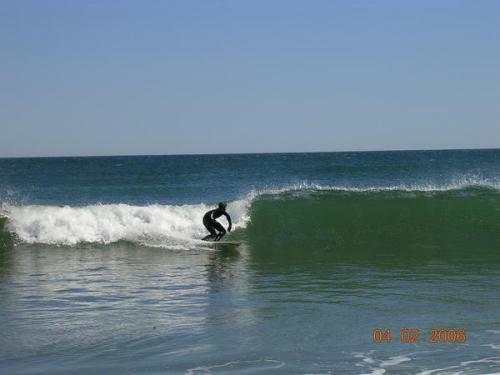 "If you love Surfing so much, why do you live here in New England? Why don't you move to California or Hawaii?" My answer is, "Because everyone else has moved there and I happen to like it here! 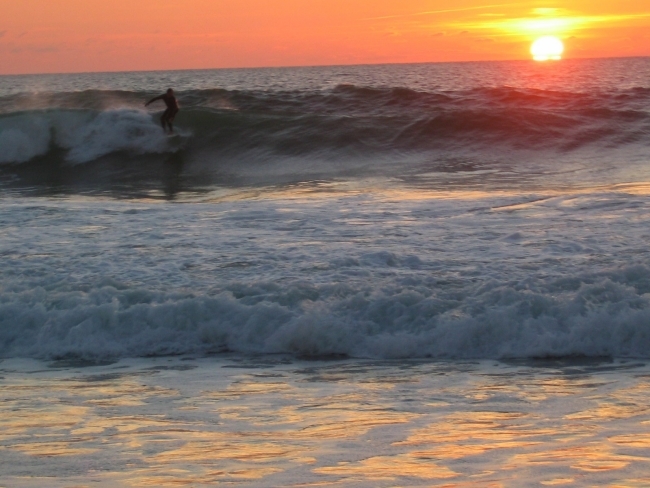 Besides, when the surf does come up...it's World Class." Don't know how many Red Sox fans there are out there but, they seem to be doing pretty good so far. Of course the season is just getting started. Ask me in August/September when it really starts to matter. But, for the time being...they look pretty good. Speaking of sports, I have NOT gotten over the brilliant team of Belichik and Kraft for allowing Adam Vinatieri to leave the building. In fact, I have NOT gotten over, the leaving of both Willie McGinest and David Givens. I don't understand that logic. Of course, I don't have that kind of money laying around, so, I guess I'll never understand it. I do know, as a fan...I'm pissed off that those guys are gone. And, I know I'm not alone. I also know I'm Not alone when I say, I want to wish all of our friends who are serving our country on this day. Especially those surfers who are in the war zones, Iraq and Afghanistan. A special note to our Marine friend/surfer Tim Bailey who's serving in Afghanistan. We're all praying for you Tim and all of those with you, a safe return to your families, friends and the ocean. Happy Easter and Passover to you all. Today 2006 From Stan The Man In Panama! The Best Surf Break Name I have ever heard... SILVERBACKS. I'm so into this name. SILVERBACKS. I mean this thing conjures up all kinds of images. Not to mention it's name is timely with the recent release of KING KONG. Great name. Great Spot. And a Great SURF CAMP. 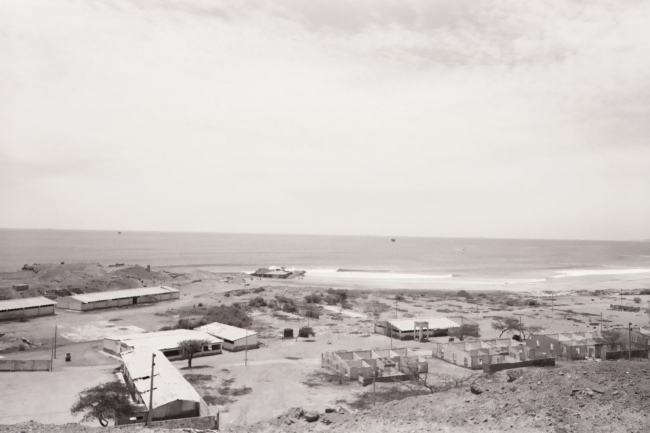 Stay tuned throughout the year as this thing (Stan's SURF CAMP) starts to take root. You guys are gonna love this place! I'm not sure if I ran these photos before. But I recently found them in my mailbox. I apologize if I did. And I apologize if I didn't. Either way...here they are. Just two buddies out surfing these fun waves. Dan Bailey and Seth Bilodeau scoring in France. Any takers here? This is a large wave. Yet somehow it looks safe enough to ride...for some people. 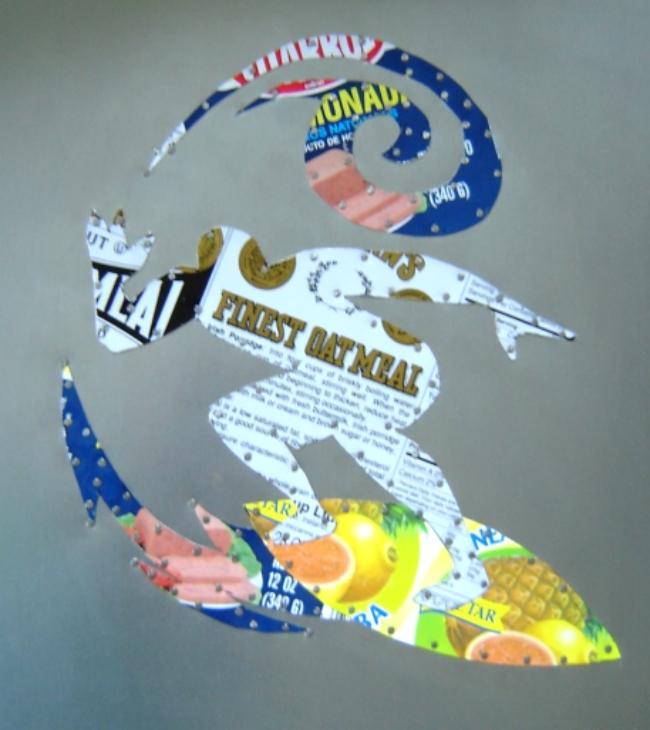 Today 2006 PARTING SHOT "TIN SURFER"
This was sent in a week late and missed the Art section. 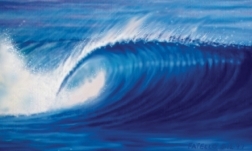 I thought it was neat enough to show you another artist perspective of surf art. Thanks Mike.